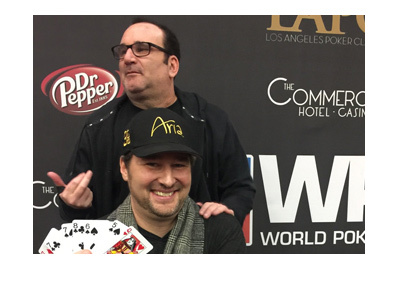 Phil Hellmuth and Mike Matusow have quite a long history with each other. 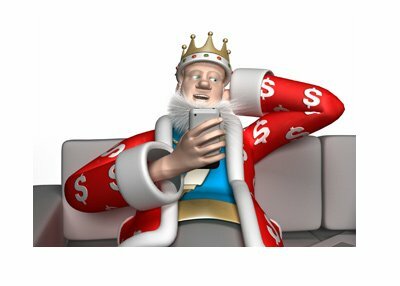 Some may think that the relationship is an adversarial one, as the two often needle each other at the table and via their Twitter accounts. In fact, there was an incident at a World Series of Poker event a few years ago where Matusow said that Hellmuth was "out of line" in his continuous haranguing of another player at the table. The truth is that Hellmuth and Matusow are actually good friends, with a relationship that spans multiple decades. In fact, when Matusow was released from jail in 2005 (he served six months for providing illegal drugs to an undercover officer), Hellmuth provided Matusow with a loan to get him back on his feet. The two men have had numerous confrontations on the felt over the years, and a recently completed side event at the LA Poker Classic provided fans with yet another clash of the titans. In a $1,100 side event, Hellmuth and Matusow found themselves heads-up after outlasting 70 other players. In the end, Hellmuth got the best of the battle, as he took down the tournament for $25,200, while Matusow picked up $14,400 after finishing as the runner-up. "Whats more depressing then losing @phil_hellmuth headup #nothing"